I'll admit it. A guilty pleasure of mine whenever I get a new camera is to dive into all of its settings, tweaking them to fit my shooting style. This is important because the more comfortable you are with handling your camera in the field, the less "in the way" it can be. Your camera should be an extension of your hands, your eyes, and your mind. To give you a better idea of how you can get the most out of your Sony α7-series camera, I put together this video illustrating some of my most important camera settings. I go over why shooting RAW + JPEG is so important to me, dive into how I set up my custom buttons, and more. 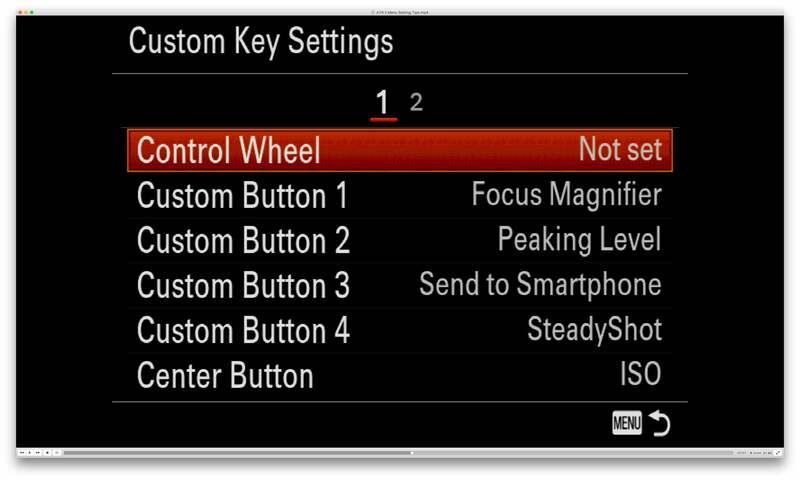 I use my α7R II in the video, but the controls and settings apply to pretty much all of the α7 cameras. Below, you can see a few of my settings with brief descriptions. In the video I discuss several others and I go into much more detail about why I set things the way I do. I hope you enjoy the video! 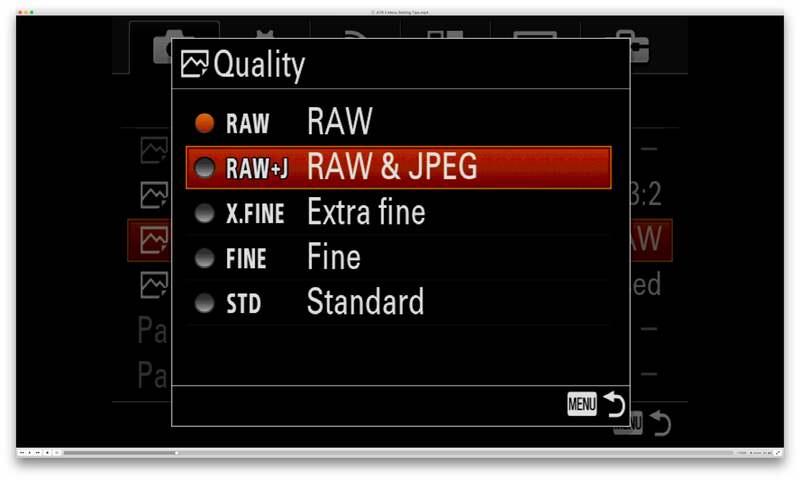 Many photographers have embraced the notion of shooting RAW to get the very best file possible from the camera and to have the most options in post-processing. I explain why I set up my cameras to shoot RAW + JPEG to take advantage of the RAW file's inherent quality and the JPEG's ease of use. 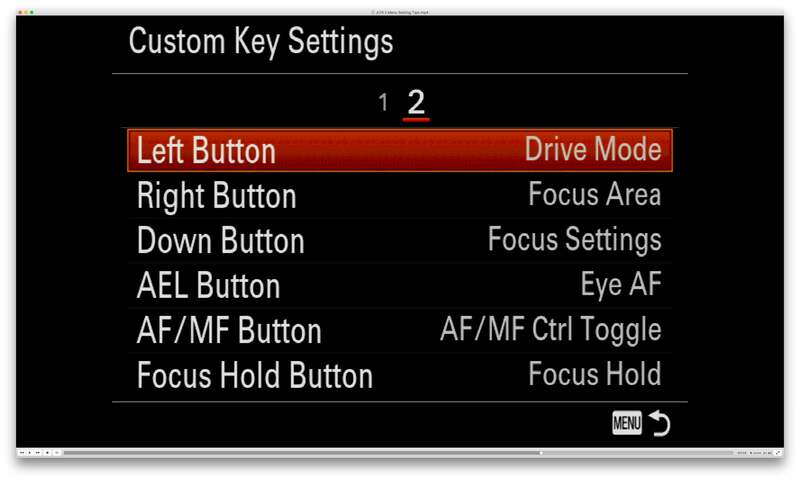 I set the left button to control my drive mode because this is one of my most used functions. I frequently need to switch from single to continuous quickly. 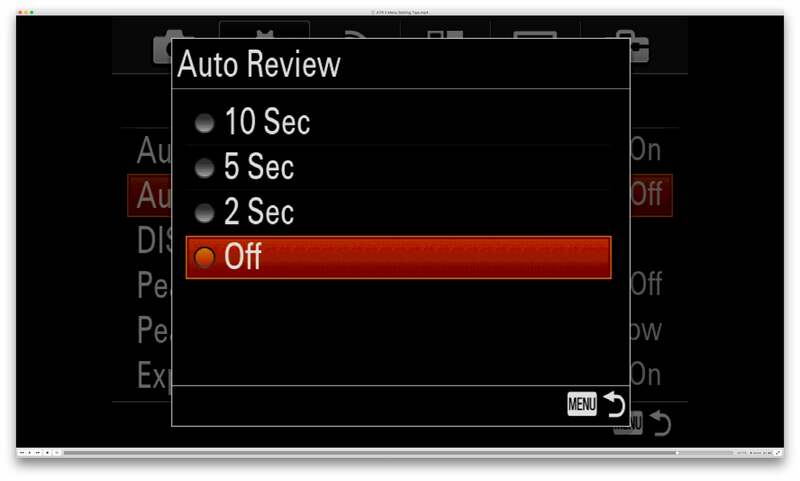 Turning off Auto Review is one of my most important settings. When it's on, the camera's display is monopolized by the review for whatever period of time it's set. Because I want to be able to shoot and compose again fast, I turn this off. I can always review images manually if I choose.